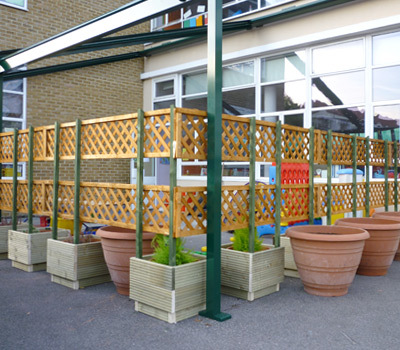 Large Planters and Trellis for St Mary & St Michael Catholic Primary School. 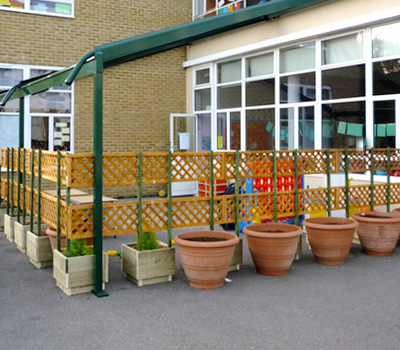 12 planters and trellis were commissioned in order to create a private play area for the younger school children. 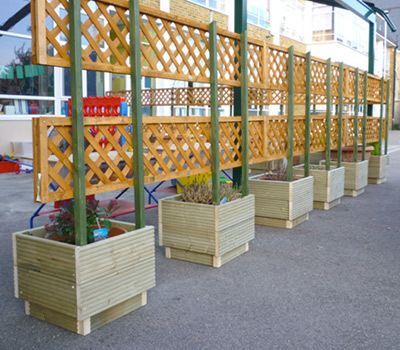 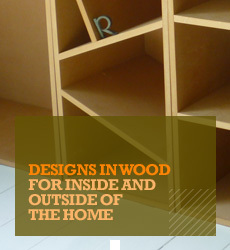 The planters were custom made from decking panels with ready-made trellis attached to create the screen.